Want to be notified of new releases in billerickson/Shared-Counts-Pinterest-Image? This add-on for Shared Counts allows you to share a different image on Pinterest. Shared Counts uses the post's featured image for sharing across all platforms. 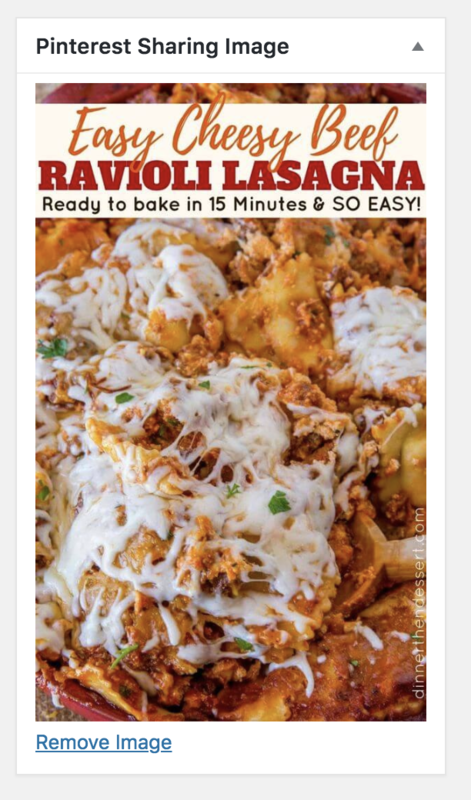 But given the unique display of images on Pinterest, it's useful to specify a separate, Pinterest-only image that's formatted for that service. This plugin will only work if Shared Counts is active. It does not work with any other social sharing plugins. Download the plugin from GitHub. or from WordPress.org. When editing a post, use the "Pinterest Sharing Image" metabox in the sidebar (see screenshot). By default the Pinterest Sharing Image box is only added to posts, but you can use a filter to add support for other post types. The following code will add the box to pages. Add it to your theme's functions.php file or a Core Functionality plugin. If you find an bug or problem, please let us know by creating an issue.